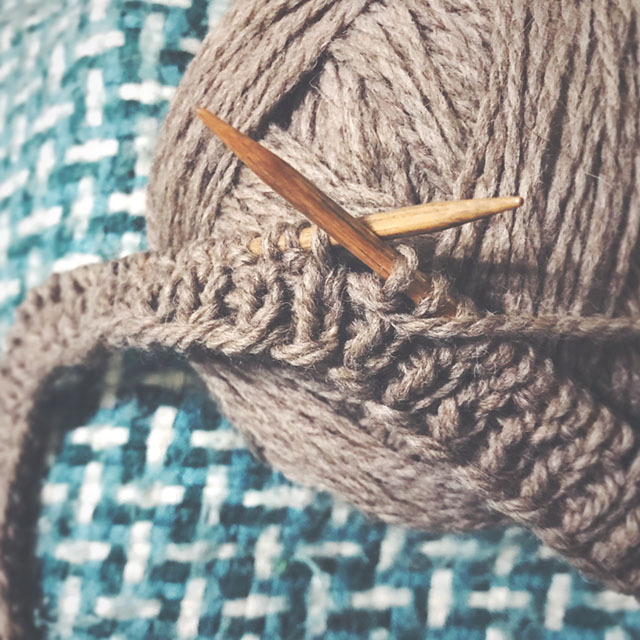 I realize I said in my first podcast episode that I wouldn't be doing any deadline knitting projects, no gifts or test knits. Famous last words. 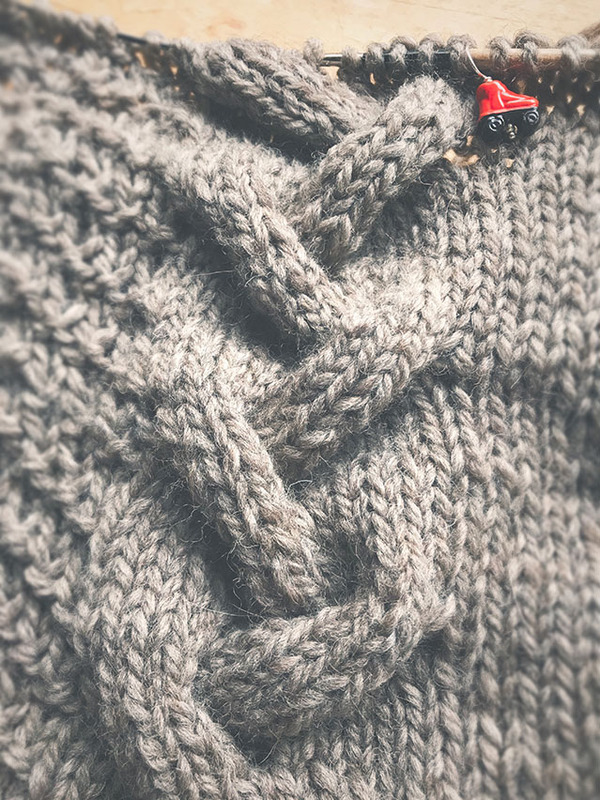 When Alina of Gift of Knitting sent me these photos of a super cabled, bulky sweater, I could not resist. Could you? These cables are so addictive. I hate that I keep getting distracted from them by silly things like people needing food and love from me. Now, I'm leaving them behind for a trip because I don't think large projects will fit in my bag. I''m going to the Amazon and this is my only real packing worry- what knits can I bring. Well, I'll look forward to finishing it when I get home. It looks fitted in images, but it should block out to have a nice 5-6 inches of positive ease. 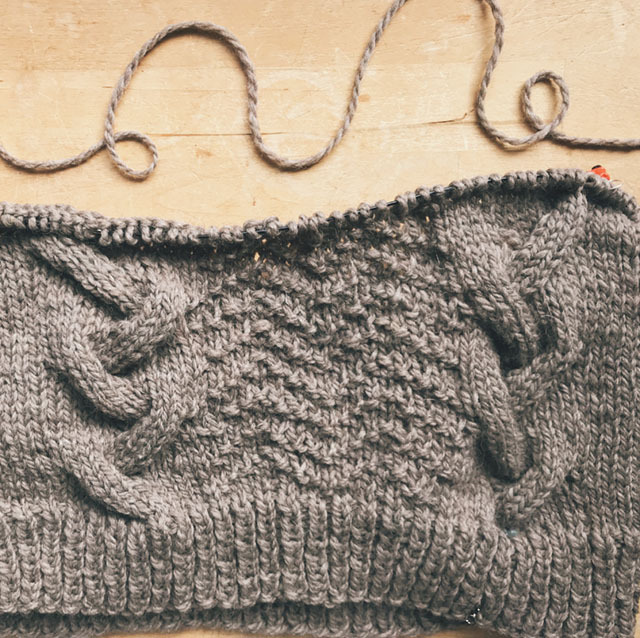 This will be my first sweater to start this year. 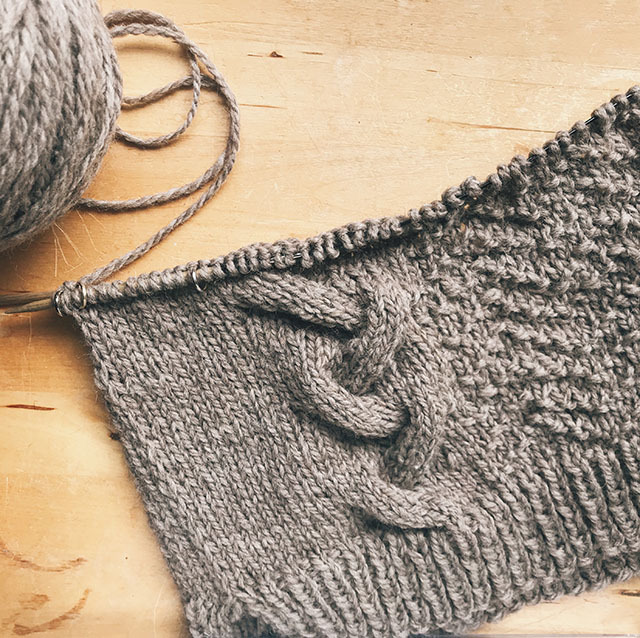 I like that it's designed by a friend and the epitome of my favorite knitting scenario: bulky, major cables, and budget Cascade Eco that I happened to have run my stash when Alina messaged me about the test. I don't think I could've done it otherwise. It's called The Edge, so you can look for testers photos via instagram with #the_edge_sweater.